Small work piece(Ex. IC chip) can be suctioned by suction port. Preventing work piece from shock by buffer mechanizm. Long life, light weight, high speed motion are achieved. Stopping position of rod extrusion side can be adjusted by nut. Stopping position of rod retrusion side can be adjusted by adjusting screw. The cylinder is used heatproof o-ring since it is used over temperture condition which is 0 - 70°of standard specification. Stable speed adjustment by hydraulic is possible. Two cylinders connected orthostichy into one piece. Both strokes of cylinder can be controlled by two steps. The cylinder which is raising dust subdueded by clean room type grease with suction ports. The cylinder which is high speed, high tolerance kinetic energy type with variable air cushion. 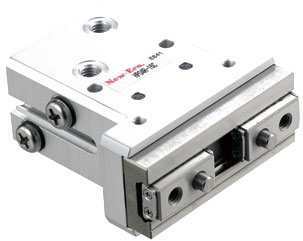 High rigidity, and high accuracy cylinder with linear bearing. Compact cylinder with speed controller. Special cylinder for low speed operation. 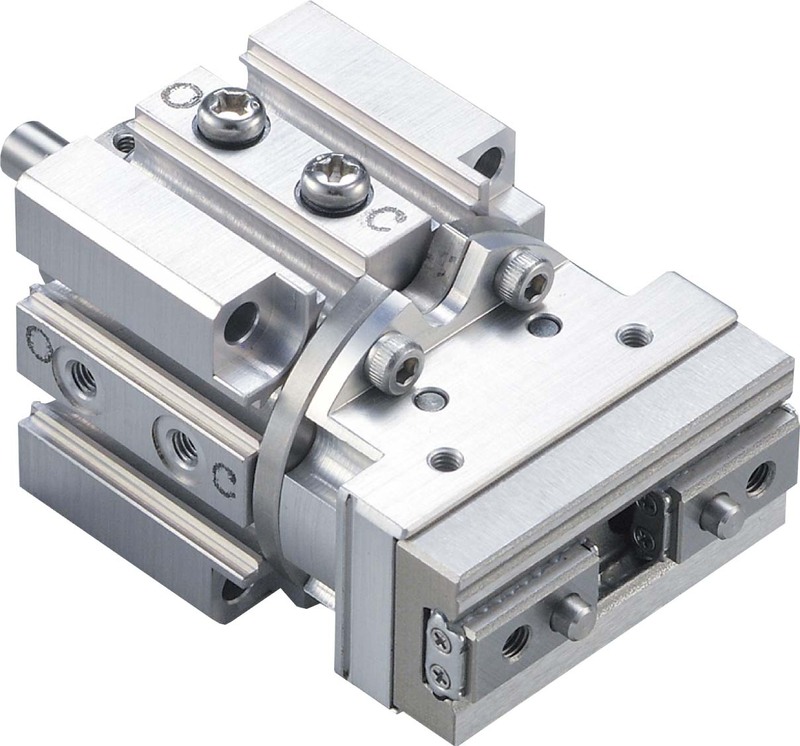 Ultra compact type cylinder which pursued compactness till its limit. Since the total length is extremely short, it can be mounted with compact space. It can be mounted on jig, panel by screw. Pipings can be arrenged by mounting piping port on head side.